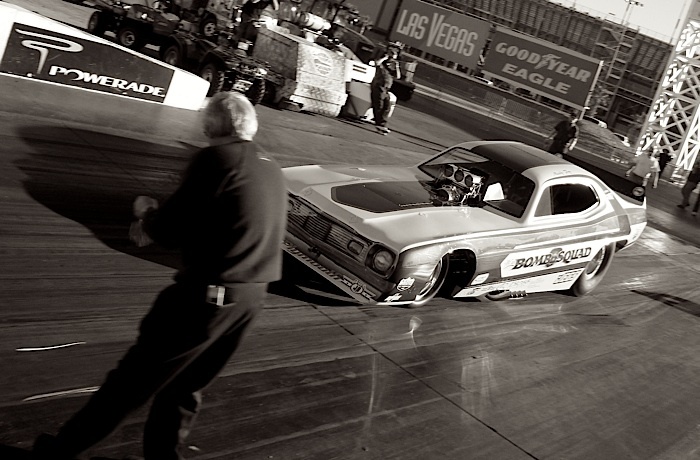 Amongst the salient info posted there, the NHRA site makes note of — in addition to McCain’s Bomb Squad — the presence of the infamous “Winged Express” AA/Fuel Altered at event, and its imminent terrorizing of the quarter-mile drag strip; and if that weren’t enough, even more vintage-style Top Fuel dragsters and Nitro Funny Cars will be pounding the pavement at the prestigious Pomona meet on Saturday and Sunday. NHRA.com says that, “Headlining the Nostalgia Top Fuel Dragsters will be Troy Green, driver of the High Speed Motorsports dragster that won the season championship last year in the Heritage Series. He will be joined by Rick White, driver of the Neil & White dragster, and Brendan Murry, who pilots a unique Chevy-powered dragster. Those cars are front-engine dragsters that reach speeds of 250 mph and produce elapsed times in the 5.7- and 5.8-second range. 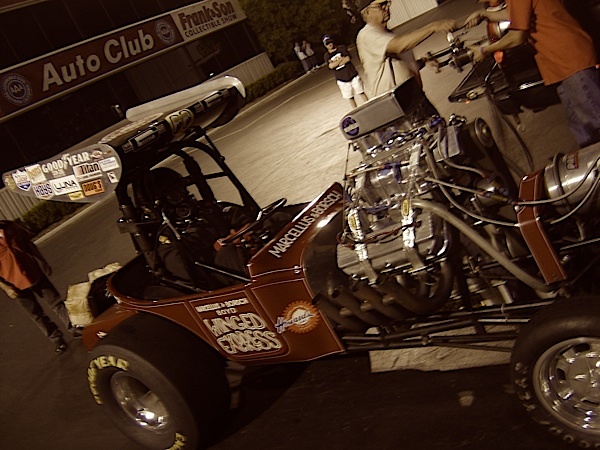 ← McCain’s Bomb Squad Live at The Winternationals!